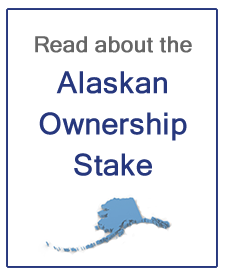 With the trans-Alaska oil pipeline (TAPS) now running 70 percent empty, the need for Alaska to have an additional source of revenue to prevent economic collapse is critically important. Why? Alaska is 90 percent reliant on revenue from an oil pipeline that is now 70 percent empty. The U.S. Department of Energy projects that TAPS throughput will decline to less than 500,000 barrels per day within five years. The choice is clear; a governor who has fire in his eyes or one that has exhibited the backbone of a jellyfish. A governor who is willing to stand and take the heat, or one who has been hiding behind Sarah Palin's skirt for the last four years. 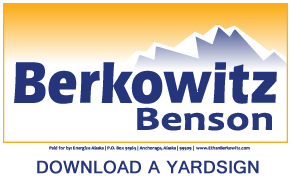 To someone who has been active in the oil industry for 30-plus years and has been involved firsthand throughout that time in numerous investment decisions by major and independent oil companies, the answer clearly is Ethan Berkowitz. I am running for Governor because the Alaska I know and love can be and should be much more. Alaska has the resources to face the future on our own terms: self-reliant, independent and with optimism about our opportunities. We need your help to make those opportunities a reality for all Alaskans by making a contribution to our campaign to "Energize Alaska." Thank you!